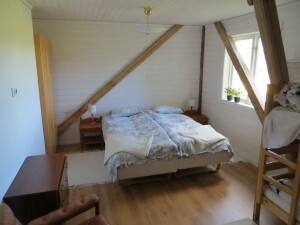 Our three rooms are now ready for rent on top of the so-called grain barn (see pictures). 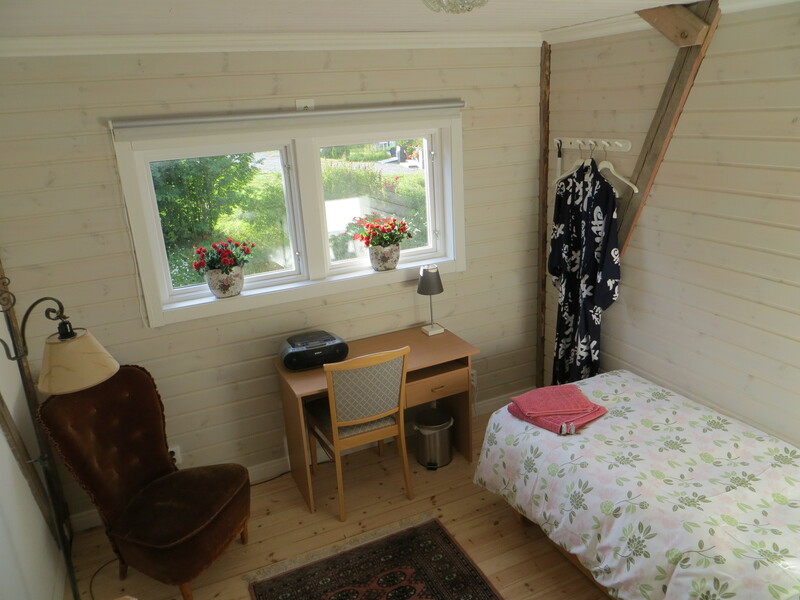 Choose between the Small Room, the Middle Room and the Big Room. 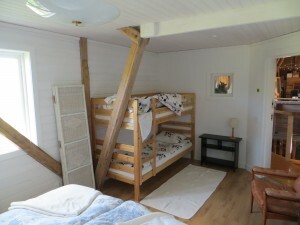 The Big Room is a family room with both double bed and bunk. 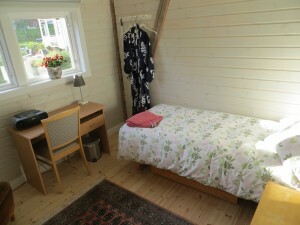 The two bigger rooms have washbasin, water boiler and refrigerator. 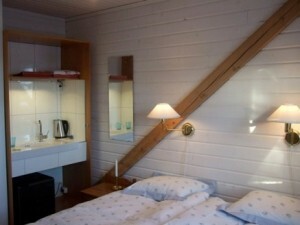 All rooms are equipped with flat-screen TV and 100 Mbit Wi-Fi. Toilet and shower you can find in the milkroom in the stable. Room exterior is painted in typical Faluröd with white trim. Inside the rooms we retained beams and braces that give them a special character. 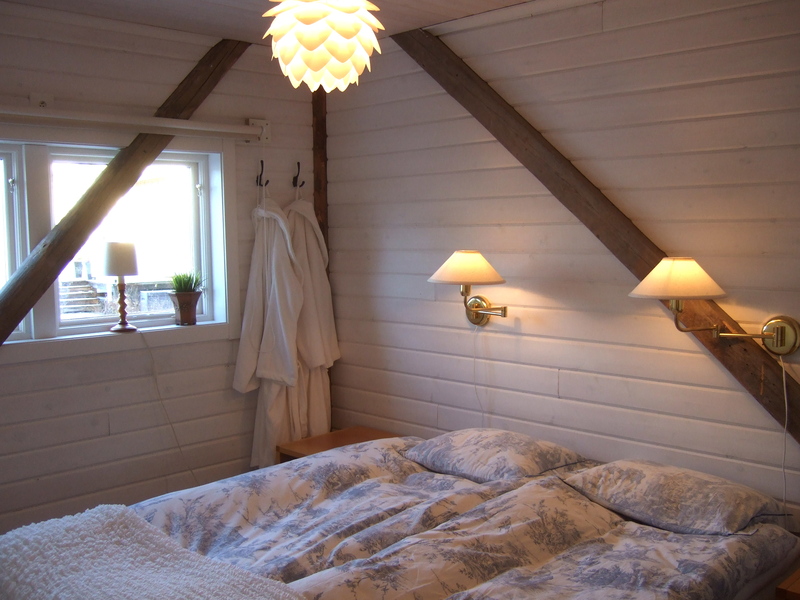 Welcome to stay with us at Heleneborgs Gård.